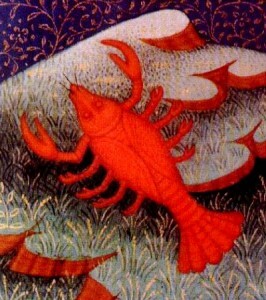 Cancer is a water sign and the fourth sign of the zodiac. Cancers, more so than any other zodiac sign, are unpredictable and often difficult to understand. This is probably a major reason you’re here, reading this right now. Without understanding Cancers, they may seem moody, unhappy or grumpy one minute – and then overly relaxed and happy the next. Besides their mood swings, one thing remains constant: if you upset a Cancer, they have no problem retreating back into their shell. One of the difficulties in understanding Cancer traits is their ability not to meet things head on: often times, they will sidestep their way to a conclusion. On one hand, this may be frustrated for people used to a direct approach, but on the other hand, it leads to very creative “outside the box” conclusions to many of life’s problems. As occasional emotional rollercoasters, Cancers have a flair for drama and can become great artists. Experiencing strong emotions, while also being able to retreat “into their shell” when the going gets rough, lend a person to make great art. Think of Tom Hanks, Ernest Hemmingway – or Rembrandt: all Cancers.